Alexandra Scott is a member of the Family and Civil Team. She has practised exclusively in these areas since 1990. She covers the full area of family law matters, with half of her work concentrating on ancillary relief or related applications including Section 37 injunctions and acting on behalf of intervenors. The balance of her family work encompasses public law and private law Children Act cases. In the public law Children Act arena she has represented local authorities, the child, the parents and interested third parties. The work extends through care orders, placement orders and special guardianship orders. 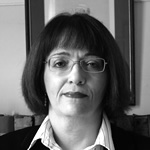 In private law works she does the full range of section 8 application and relocation cases. The civil work undertaken is broadly associated with family issues and includes TOLATA applications; “Inheritance Act” Claims and Schedule 1 Children Act applications. She appears regularly in the County Court and the High Court. Further work is undertaken in the Court of Appeal and the Family Proceedings Court (generally care applications). She has a great deal of experience when dealing with work that requires an interpreter to assist the client or witnesses in the case. She sits as a Deputy District Judge (civil & family).